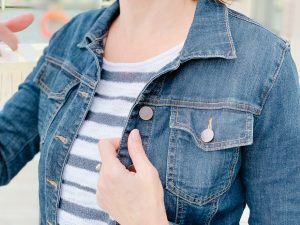 Hi friends, I am here to day with another couple of gift guides for you. Are you sick of them yet? I personally love them and find them so helpful to shop for everyone on your list. 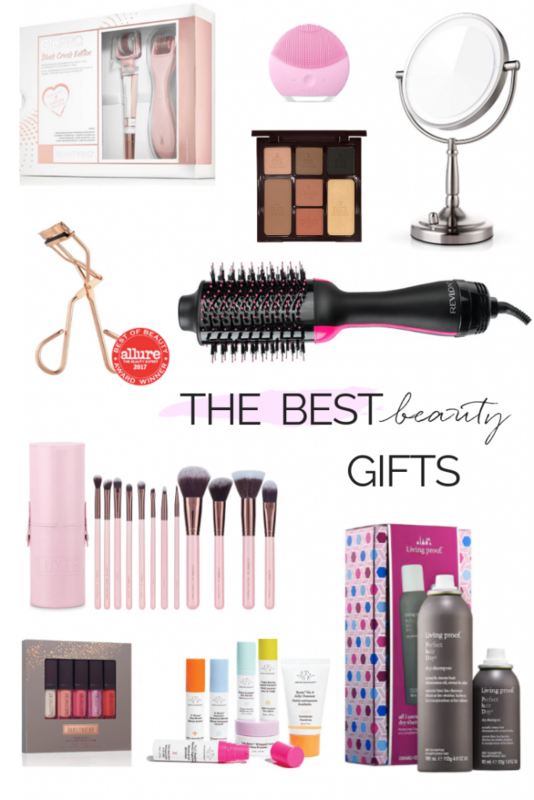 Today, I am sharing what I know best – the best beauty gifts and stocking stuffers around. All of these gifts are practical and work for most any beauty lover. I hope this helps you. Also, Sephora is having a sale right now, where you get a certain percentage off your purchase, through December 12. Macy’s is currently running a 15% off friends & family sale one everything, including cosmetics. 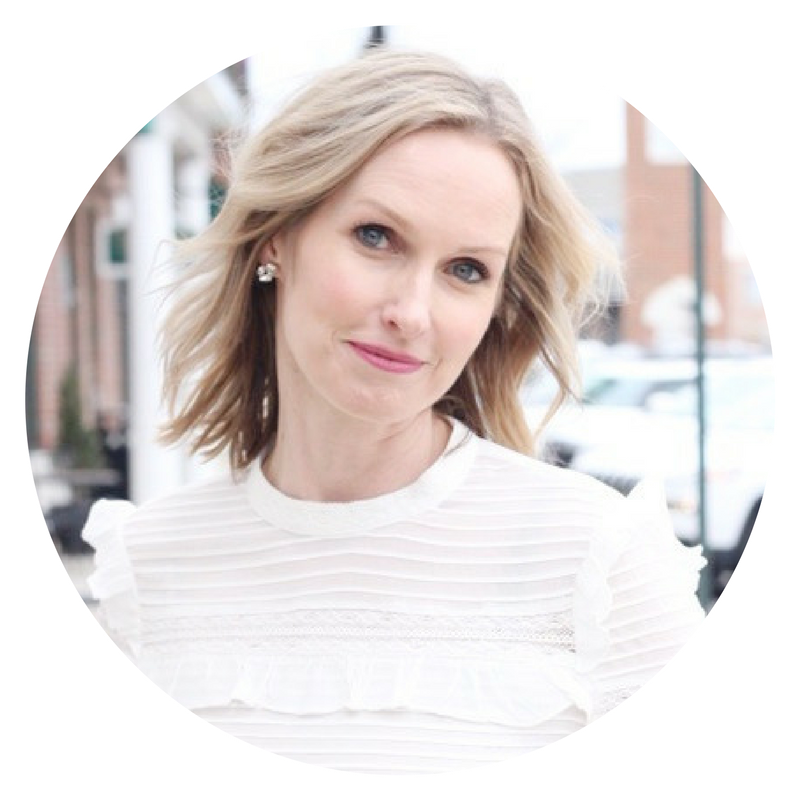 GLOW PRO// I have raved about microneedling before on this blog. But I am telling you – it really works. Treat yourself, or someone you love, to this set and give them the gift of younger, firmer, smoother looking skin this season. A bit pricey, but cheaper than a round of Botox, with lasting effects! FOREO LUNA// I love this little gadget. It works with your favorite cleanser and gets your skin really clean, without irritating it. CHARLOTTE TILBURY PALETTE// I love this palette and use it almost daily. It has everything you need for a full face of makeup, including quite a large mirror inside of the compact. This is a nice bonus that most companies overlook. ILLUMINATED MAKEUP MIRROR// Everyone needs a good makeup mirror, in my opinion. But these puppies can get pricey and cost upwards of $150.00. Yikes! This is a fabulous budget option sure to please any makeup lover in your life. Your makeup will look so much better, I promise. And, it is battery operated, so you can take it anywhere without the hassle of a cord. EYELASH CURLER// Every woman should also own an eyelash curler. Even if you never wear a stitch of makeup, a good eyelash curler will open up your eyes and make you look more wide awake. There is a correct way to use it and I may chat about that in my Insta stories today or tomorrow. This is a great one. REVLON VOLUMIZING HAIR STYLER// This thing is currently sold out everywhere and for good reason. It is AMAZEBALLS and has replaced my regular, expensive hair dryer. I would keep checking back, as I am sure they will restock before the holidays. I will keep you posted as well. This is the only way, I can achieve a professional looking blowout at home. LUXIE BRUSH SET// These are my current favorite makeup brushes. They are cruelty free and the quality is excellent. Good brushes can be very expensive. I have paid more for one brush than the price of this entire set. It is very comprehensive and contains everything needed for the entire face. Plus, it comes in a cute pink brush roll. If you are in the market for good brushes, why not treat yourself to a set? LAURA MERCIER LIP GLOSS MINIS// I love her glosses and this is a great way to try a bunch of new colors for a good price. Also, these cute little minis are great for your purse, or travel bag. DRUNK ELEPHANT THE LITTLES// This is my favorite skincare brand. It works really well for my sensitive skin and I have yet to hear of one single person who has tried Drunk Elephant that didn’t immediately fall in love with it. This is a fabulous way to try the line and treat someone to the magic. Great for young girls as well and I love to travel with it. LIVING PROOF DRY SHAMPOO SET// My favorite dry shampoo ever. This is a cute set for the price of a bottle, where you get the travel size for free. It is a great way to stock up and an awesome white elephant gift. L’OCCITANE HAND CREAM// This is my favorite hand cream ever created. I adore it, especially this time of year. It is rich to soothe my dry, chapped hands, but soaks right in, leaving hands soft and not sticky or tacky. The smell is heavenly. 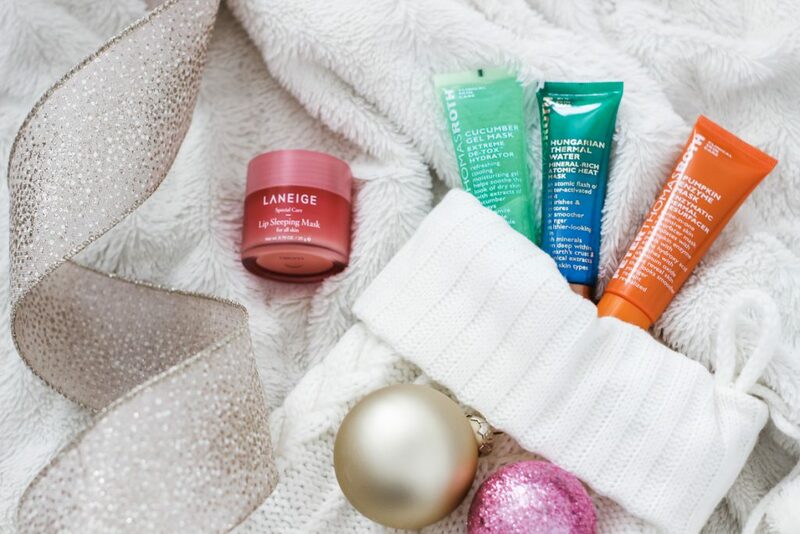 I treat myself to a tube each winter and it makes the perfect, pampering stocking stuffer. PETER THOMAS ROTH MASK TRIO// A three-piece mask kit featuring Cucumber Gel Mask Extreme De-Tox™ Hydrator, Pumpkin Enzyme Mask Enzymatic Dermal Resurfacer, and Hungarian Thermal Water Mineral-Rich Atomic Heat Mask. Perfect for dryness , dullness and uneven texture and such a steal of a deal right now. LANEIGE LIP SLEEPING MASK// I am always battling dry lips and this has really helped me. My lips are smooth and plump in the mornings. Even my kids love it. It is one of my new favorite beauty discoveries. SIGMA BRUSH CLEANER PAD// This innovative pad makes cleaning your makeup brushes a little less of a chore. It fits most sinks and gets your makeup brushes squeaky clean. BOBBI BROWN SHIMMER BRICK// This is so pretty and gives your skin a healthy glow. It is perfect for young and old alike and adds just the right finishing touch to your makeup. MAKEUP ERASER TOWEL// This cloth makeup eraser removes 100% of your makeup with water only, including waterproof eyeliner and mascara, HD makeup and much more. It is fab! SKYN ICELAND EYEPATCHES// My favorite ever eye patches. These are great to perk up tired eyes. I use them on plane rides and before (and after) big events. They are amazing and the perfect little beauty gift. DRYBAR SHOWER CAP// Apparently, this is selling like hot cakes right now and I can see why. This is, hands down, the best shower cap I have ever used. If you are like me and don’t wash your hair a lot, a good shower cap is so important. This one really keeps your hair dry and protects your blow dry. Your hair comes out looking exactly as it did before you showered. 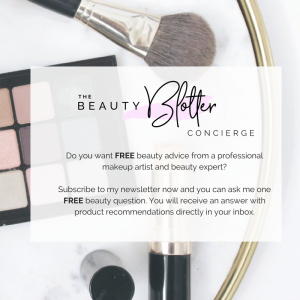 THE BEAUTY BLENDER// I recently re-discovered this magical beauty tool and now I can’t live without it. It makes foundation application flawless and seamless and I also use it for my bronzer and cream blush. It is perfection. This little holiday treat edition comes with a cleanser as well for the same price. TARTE LIP SET// This set is another beauty bargain and these lip quenchers are just perfect for the cold winter season. They keep your lips hydrated and add just the right amount of sheer color to your lips. Perfect gift for teenagers as well. There you have it! All of the best beauty gifts in one place. A TYPICAL DAY IN MY LIFE & A GIVEAWAY!